A statement by the prime minister of Britain, David Cameron, that his government will not provide budgetary aid to governments that violate human rights, including by discriminating against homosexuals and lesbians, has angered sections of Caribbean society. The angry response may have arisen over a misunderstanding of Cameron’s remarks made in a BBC interview at the end of the 2011 Commonwealth Heads of Government Meeting (CHOGM) in Perth, Australia from 28 to 30 October. The remarks were not made at CHOGM itself. 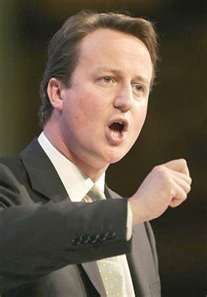 While Cameron did say that his government would not provide general budget support to governments that do not uphold human rights, including the rights of homosexuals, lesbians and vulnerable communities such as young girls, his remarks were not specifically about homosexuals and he did not say that all aid would be withheld. In any event, no independent Caribbean country is a recipient of General Budget Aid from Britain, and, therefore, not one of them would be affected. In this regard, the response to Cameron’s remarks could have benefitted from more careful study. Cameron did not state a new position. What he said has been the British government’s published policy since earlier this year when the Department for International Development (DFID) conducted a study, involving a wide range of organisations and countries, from which it was decided that General Budget Aid to governments should be linked to good governance, accountability and respect for human rights. British budgetary support is only 16% of the UK’s annual aid budget of £7.46 billion (US$12.1billion). Nevertheless, the policies, laws and practices applicable to homosexuals and lesbians are real and growing issues in the Caribbean, not only from a human rights stand point but as a public health one too. At the CHOGM in Perth, an Eminent Persons Group (EPG), of which I am a member, delivered a report to Heads of Government, who commissioned it at their meeting in Trinidad two years ago, on ways to reform the Commonwealth to make it relevant to its times and its people. Included in the 106 recommendations in the report was one that governments “should take steps to encourage the repeal of discriminatory laws that impede the effective response of Commonwealth countries to the HIV/AIDS epidemic, and commit to programmes of education that would help a repeal of such laws”. Amongst these laws are those that criminalize homosexuality. The recommendation proved to be difficult for many African and Caribbean governments. Of the current 53-nations of the Commonwealth, 41 of them retain laws that criminalise homosexuality in particular. Some of these laws dictate that homosexuals should be flogged and jailed. Of the 41 states with such laws, all 12 of the independent Commonwealth Caribbean countries are included. Remarkably, these laws are relics of the colonial past. They were introduced in the Caribbean by the British Colonial government. But, while Britain, like the majority of countries in the world, has moved on to decriminalize homosexuality, the colonial laws remain in many parts of Africa and the Caribbean. In Britain, Australia, Canada, the United States and the majority of European and Latin American nations, many homosexuals and lesbians, freed from the criminalization of their sexual preferences, have risen to the top of their careers. Many are captains of industries, government ministers, leading sports persons and even members of the armed forces doing duty in dangerous places such as Iraq and Afghanistan. In the Caribbean, however, homosexuals are marginalised and the majority remain hidden, terrified of the consequences of “coming out”. Caribbean governments face serious difficulties over this issue. There is a strong prejudice in societies based on both a lack of education and reluctance to engage the issue in public fora. The churches in the Caribbean are the most unyielding, constraining political parties from adopting a more enlightened and modern-day view of the matter. The facts indicate that 60 million people worldwide have been infected with HIV and 33.3 million presently live with the virus. Over 60% of the people living with HIV reside in Commonwealth countries. The region with the highest rate of HIV/AIDS per capita is the Caribbean. In this sense, the problem for the Caribbean is one both of human rights and public health. Homosexuals who live under the risk of flogging and jail are reluctant to reveal themselves if and when they become HIV infected. Consequently, they are left untreated and the disease spreads and eventually they die, although the real cause of death is usually hidden. In any event, the laws criminalising homosexuality are depriving the Caribbean of the use of remarkably talented people in all fields of life who could be contributing to the development and prosperity of every Caribbean country. Some homosexuals have already emerged – despite the laws and the stigma – as outstanding Caribbean citizens, revered not only in the region but in other parts of the world, but they have been persons of great courage and unquestionable ability. Others have simply fallen by the wayside, or are living lives of lies. On the eve of CHOGM in Perth, Helen Clark, the head of the United Nations Development Programme wrote to Commonwealth leaders pointing out that “it is important and urgent” for them “to promote and secure the repeal of the discriminatory laws which impede effective national HIV responses”. She called for “legislative initiatives and programmes which will repeal discriminatory laws” that “can not only turn back the HIV epidemic, but also improve the health and development of their citizens”. She urged leaders “to seize this opportunity for the Commonwealth to turn a corner in preventing and controlling HIV by embracing the proposals to repeal laws which impede effective HIV responses”. In part, it was to this urging that the British prime minister was responding when he spoke in the BBC interview of the need to repeal discriminatory laws. The issue will not go away. Britain’s linking of General Budget Aid to respect for human rights is one response. Others will follow in different ways. As the international community sees it, homosexuals and lesbians are entitled to rights too, as long as they do not affect the rights and preferences of others. The Caribbean will have to face up to that reality -- as most of the rest of the world has. The best way to start is by informed public discussion.